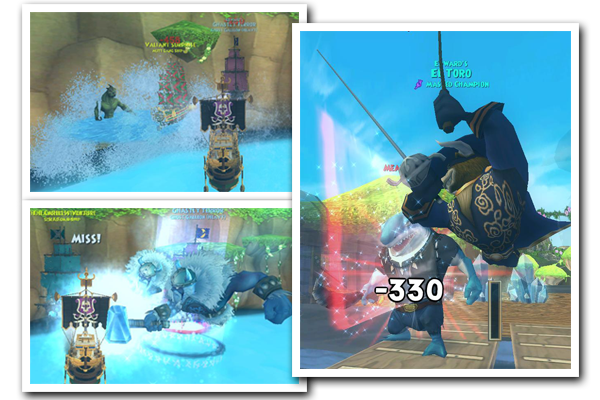 Last Friday I had a chance to battle my way through the new Pirate101 nautical gauntlet with Edward from Around the Spiral with Edward Lifegem. 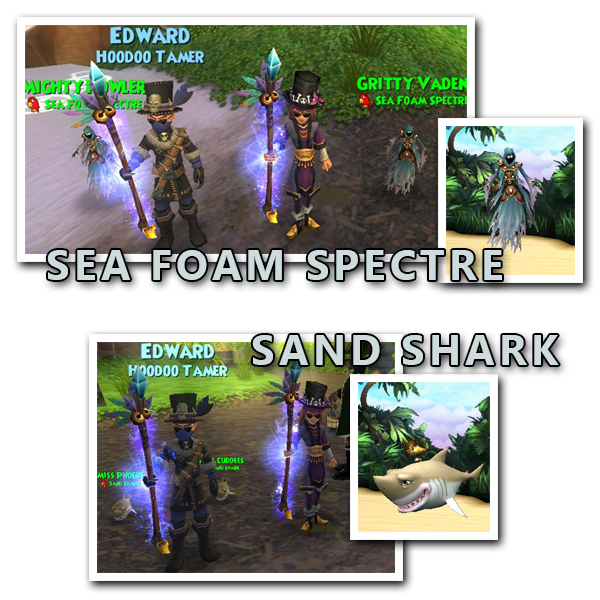 This was my first time through, since I was on vacation during the time test realm was active. Pirate Regatta is basically an area in Skull Island where you can go to fight a bunch of ships and get awesome drops, gold, Scrip and NXP. 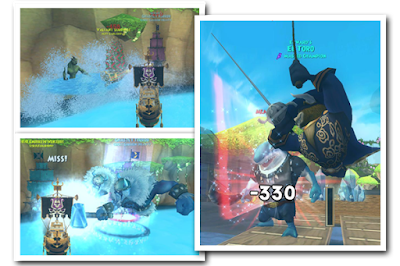 There are 5 waves, each consisting of 5 ships you have to defeat, followed by an unsinkable ship boss. That's 30 ships total! Lots of fighting, and it is FUN! Some of the boss battles were pretty tough, and we lost some companions, but overall I don't think the difficulty is too bad for 2 or more people. I don't think I would be able to solo it though, since the ships tend to gang up on you. Edward and I went through all 5 waves and I think it took us a little over an hour. I got so much scrip in there. One boss fight alone, I got 50 scrip! I also got some furniture items. 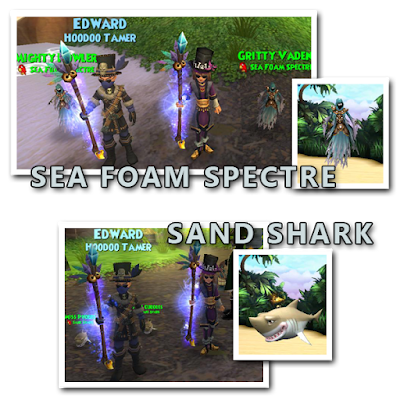 But my favorite part was that Edward and I each got 2 new pets, a Sand Shark and a Sea Foam Spectre! I'm not sure how much NXP these ships give, since my nautical level is maxed out, but the ships are level 65ish, so they probably give a decent amount. My guess is that it's maybe similar to Aquila, but I really don't know. If I find out, I will be sure to update this post. This gauntlet is really hard, and the few times I tried it, I couldn't seem to finish it!